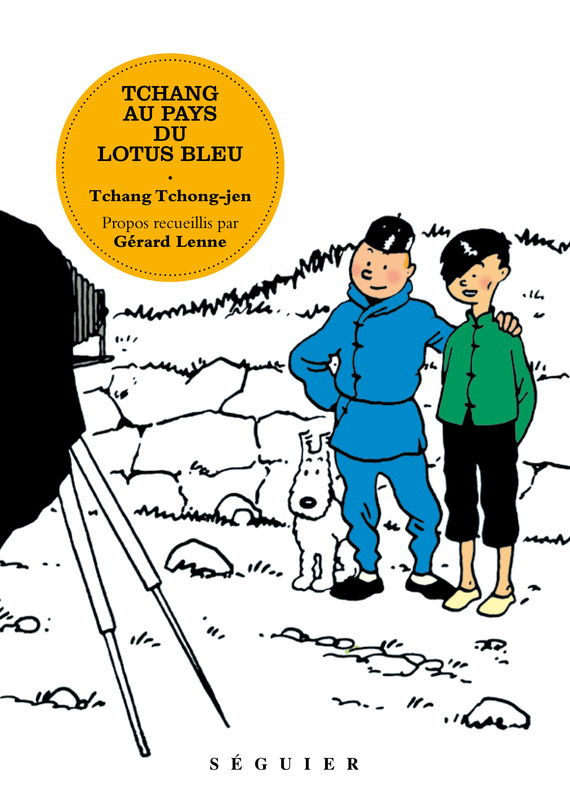 Since The Blue Lotus, Tchang Tchong-jen has been known as Tintin's best friend. But for a long time readers were not aware that the little Chinese was not a fi ctional character. When he was a student at the Fine Arts Academy in Brussels, at the beginning of the Thirties, he became Hergé's hidden adviser. Then the two friends strayed away. They were separated for long years, which the great Hergé tried to exorcise with his imaginary quest of Tintin in Tibet. Their touching reunion in 1981 nearly appeared as a historical event. Unfailingly serene, the great sculptor depicted his life in the Land of the Blue Lotus to journalist Gérard Lenne. His fi rst steps as a creator, the ups and downs of the Republic of China, the Japanese invasion, the Civil War, the birth of the People's Republic of China, the hustle and bustle of the Cultural Revolution... With him, we go all over a century of history, feeling as Hergé did, we better understand the China of that period. After working as a critic for Téléciné, Midi-Minuit Fantastique, or Horizons du Fantastique, Gérard Lenne joined the weekly Télé 7 Jours in 1971. In 1981 he took charge of the cinema column. In 1970 he had published his first book Le cinéma fantastique et ses mythologies. There were many to follow. But Gérard Lenne has more than one string to his bow. He loves music and comic strips and published two books about the writer and draftsman Edgar P. Jacobs (Blake, Jacobs and Mortimer) and L'Affaire Jacobs. Gérard was the President of the French Union of Cinema Critics for 6 years.  Tintin's Tchang actually lived! Après quelques expériences de critique dans Téléciné, Midi-Minuit Fantastique ou Horizons du Fantastique, Gérard Lenne entre à l'hebdomadaire Télé 7 jours en 1971. Il en devient le chef de la rubrique " cinéma " en 1981. En 1970, il publie son premier livre " Le cinéma fantastique et ses mythologies ". Beaucoup d'autres suivront. Mais Gérard Lenne a d'autres cordes à son arc. Fan de musique et de BD, il publiera deux ouvrages sur l'auteur et dessinateur de BD Edgard P,Jacobs ( " Blake, Jacobs et Mortimer " et " L'affaire Jacobs "). Gérard Lenne a été président du Syndicat Français de la Critique de cinéma pendant 6 ans.